Stunning Panoramic Views Of The Gulf and Perdido Pass. See 20 Miles of White Sandy Beaches. This 7th Floor Three Bedroom Features Almost 1,400 Sq. Ft. Access To Private Gulf Front Balcony From Both Living Room and Master Bedroom. Relax, Unwind and Enjoy The Beautiful Sunsets. 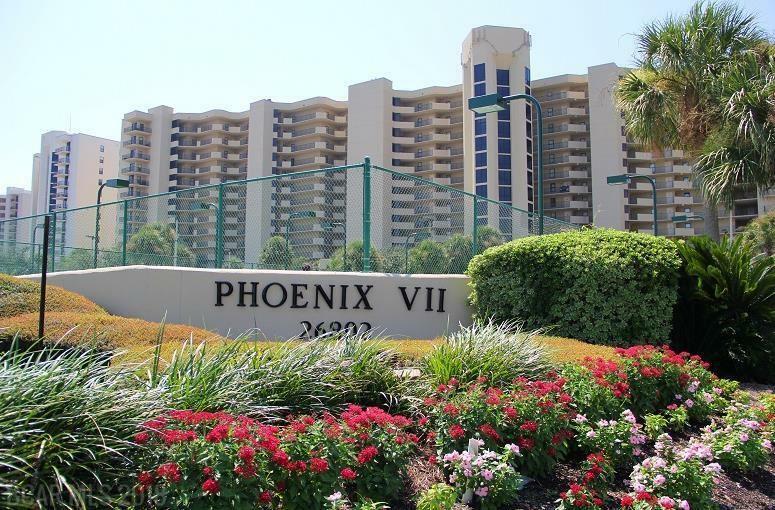 Located in Popular Phoenix VII - Complex Features First Class Amenities To Include On Site Management, Indoor Pool, Outdoor Pool, Kiddie Pool, Racquetball Court, Basketball Court, Fitness Center, Gazebo and BBQ Area, Lighted Tennis Court, Hot Tub and Sauna. Prime Location and Conveniently Located and Just Minutes To Restaurants, Marinas, Shopping, Beaches and More. Turn Key and Rent Ready. Don't Miss Your Opportunity To Own A Piece Paradise.